Medical Equipment products are becoming more and more challenging. Products are designed with maximum efficiency from the perspectives of both design and production. 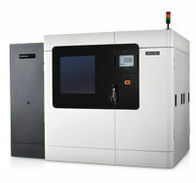 This is commonly translated into elements that are small in size and that require fine details and high accuracy, which is where Stratasys & Objet shines. 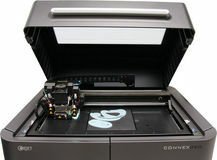 Explore the broad range of 3D Printers available for this application. 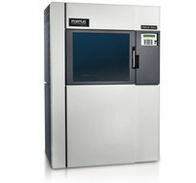 Stratasys & Objet’s ability to print thin walls (0.6mm and even thinner), accuracy (+/- 0.1mm) and multi-material 3D printing that combines rigid and flexible materials in the same prototype makes Stratasys & Objet solutions highly attractive. 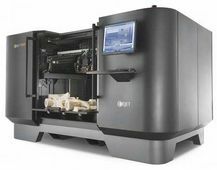 Stratasys & Objet serves multiple facets of the Medical Equipment industry, such as implants, drug delivery systems, diagnostic equipment, clinical laboratory instruments, surgical devices, and Pharmaceutical packaging. Furthermore, Stratasys & Objet’s latest transparent material, bio-compatible material and ABS-like Digital Material provide this segment with the ability to test prototypes in environments similar to those of the desired end product.